A business relies on contracts in order to fulfill its goals and sell its goods and services. More importantly, a business needs legally enforceable contracts. After all, a contract that can’t be enforced is essentially worthless. A legal contract formally obligates two or more parties to perform certain acts based on the terms and conditions of the contract as negotiated by the parties. Several elements must be met in order for a court to deem a contract legally enforceable. The three most important contractual elements are offer, acceptance and consideration, and they all must be present whether the contract is oral or written in nature. The three elements required to create a legal contract are offer, acceptance and consideration, which means the exchange of something of value. In order for a contract to be binding, there must first be an offer. The party who initiates the contract is called the offeror and presents a proposal outlining certain terms. For example, Jack may propose selling his bike to Jill for $50. Jack would be the offeror in this scenario, and his offer would shift the burden to Jill, the offeree. Jill could either accept Jack's terms or make a counteroffer; for example, she could offer to buy the bike for $40 or pay the full $50 if Jack first repairs the bike. The offer should specify the precise goods or services being offered and it can be made by either the seller or the buyer. After an offer is made, it must either be accepted or met with a counteroffer. If the offer is rejected outright, there is no contract. The offeree may accept the offer in writing or verbally, unless the offeror requires acceptance to be in one form or another. In other words, Jack can propose selling Jill his bike for $50 on the condition that she accepts in writing by a certain time or date. If Jill accepts the offer verbally or submits a written acceptance that’s received after the specified time, the acceptance is not legally binding on Jack. There would be no enforceable contract under those terms. Of course, the offeree may also respond with slightly varied terms. Jill might propose buying two bikes at $80 from Jack. In this case, the response is termed a counteroffer, and the original offeror must accept or reject the terms proposed. The Uniform Commercial Code, a model code of laws that has been adopted by most states in the U.S., sets out the requirements for offers and acceptance of offers for contracts for the sale of goods. It states that unless it’s otherwise obvious by the circumstances or by a written agreement of the parties, acceptance of an offer can take place in any reasonable manner. What Is a Silent Agreement in Negotiations? After an offer is made and accepted, there must be an exchange of "consideration" to formally bind the parties to the contract’s terms. Consideration is legal jargon for exchanging something of value like goods for money, services for money, goods for goods or services for services. It usually involves someone paying money to receive a product or service, but really, it can be anything of value. For example, there may be valid consideration if you agree to stop doing something you have a right to do. 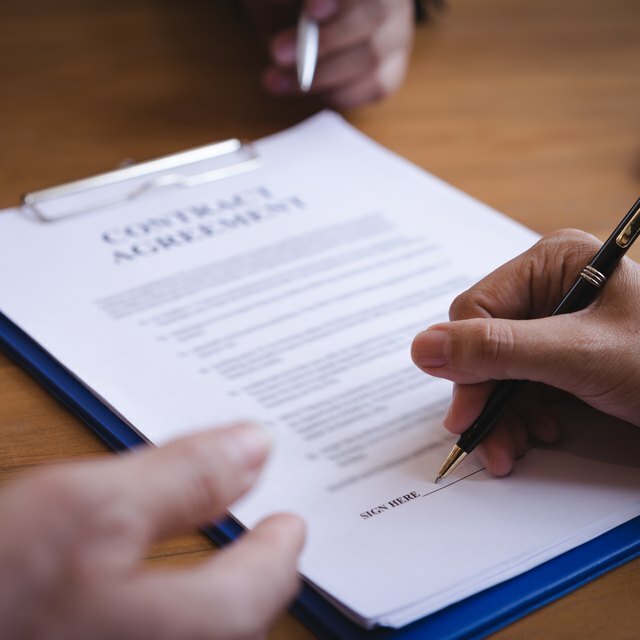 Whatever form consideration takes, it is essential that it be mutually agreed upon and actually exchanged in order for a court to enforce the contract’s terms. Without consideration, there is no contract, merely a gift or a discussion of a potential contract. While oral contracts can be legally binding depending on the subject matter and type of agreement, it’s better business practice to put you agreements in writing. A contract that’s been signed by both parties provides documentation of the terms and gives you a significant advantage should a dispute arise. In some cases, agreements must be put in writing before they can be legally enforced under what is known as the statute of frauds. These rules are usually found in state laws. They describe the types of contracts that must be written to be deemed enforceable, including contracts for the sale of real estate and contracts with terms that exceed one year in length. The parties must have "capacity" to enter into contracts, which means they must understand what they are doing. A minor cannot be legally bound by a contract, and the courts will usually strike out contracts against minors, even if the minor has signed a written agreement. Incapacity due to a mental or emotional illness can prevent a party from being able to legally give consent to a contract, too. Requirements for legal agreements and contracts vary from state to state. You may want to consult legal counsel to make sure your contracts are valid.